Available March 1. Here's A Great Coldwater Springs Single-Story Home At The End Of A Cul De Sac Just For You! 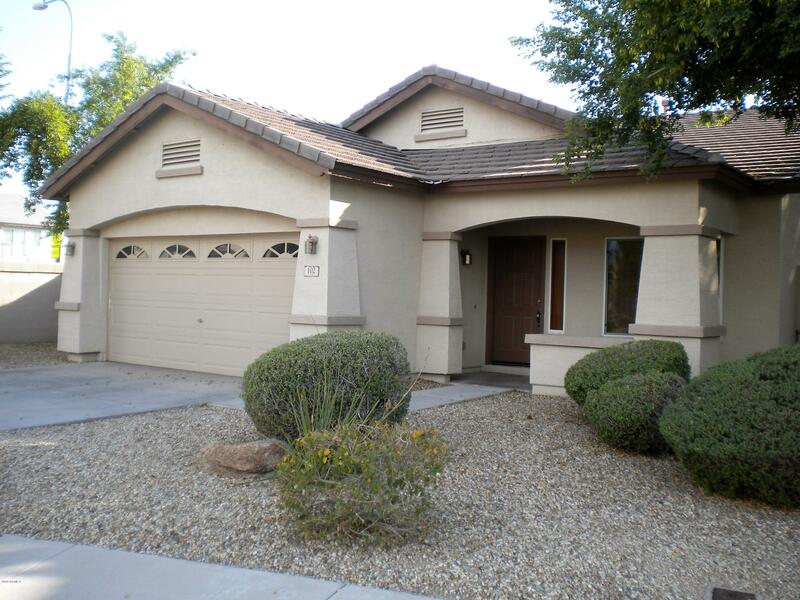 Large 1669SF 3 Bedroom, 2 Bath, + DEN With Double Doors. (It Could Be Used As A 4th Bedroom, Office, Or 3rd Living Area/Playroom). There's A Formal Living Room/Dining Room, Family Room, Large Kitchen With Raised Snackbar Between Kitchen & Family Room, & Breakfast Room....Lots Of Options To Meet Your Lifestyle Needs. The Master Suite Features A Bay Window, Walk-In Closet, Double-Bowl Vanity, 60'' Shower, & Private Toilet Room. EZ Maint. Desert Landscaping In Front & Back Yards, Covered Porch In Front & Covered Patio In Rear. NOTE: Owner Will Supply Black Refrigerator For $1275 Monthly Rent OR Black Refrigerator + Washer/Dryer For $1300 Monthly Rent.